If any women read my geekery or trash there would be a gasp of shear horror that chocolate is being tampered with. Nestle has made what they are calling a breakthrough which could dramatically reduce the amount of sugar in their products. As I said before I call this a chemical shitstorm. In a nutshell they have fiddled with the molecular structure of sugar, to make Sugar 2.0. The simple explanation is they make it dissolve quicker, which I assume make it hit you harder faster and makes you think there’s more sugar than there is. Think a chunk of rock salt, crunch it up with your teeth and salt city. Nestle claim it does not affect the taste at all. The problem is, that when when you fiddle with things like this, you don’t know how far reaching the consequences are. What seems ok short term, isn’t long term. Look at various drugs, they are doled out like tictacs, then a few years later they are withdrawn and banned because it goes horribly wrong. 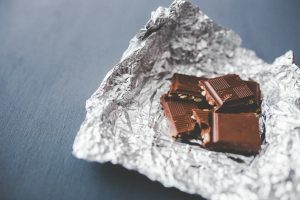 When you consider that Chocolate is about 45-65% sugar on average, it varies depending on brands and white, milk or dark, some of which is dairy sugar, but raw and pure chocolate can have virtually no sugar at all but most people would find it very bitter. Various companies have come up with tricks like using sea salt or chilli peppers in an attempt to reduce sugar and balance the bitterness, and some of them are good. What is not clear is, they say 40% sweeter, but don’t clarify if this is 40% less calories or physical mass. Which means we won’t know if they will need to add some other filler to regain the size or yet again reduce the size of the bar. We also don’t know if it will reduce the calorie content, I would guess it would. Looking at the potential above, which assumes it achieves 40% calorie reduction, 32 calories doesn’t seem alot, but its actually about 17% reduction overall in the Dairy Milk. I assume this Sugar molecule can be used in all manner of other goodies, so I applied it to the unhealthiest thing I’ve eaten in a long time. On the grande scheme of calories the difference isn’t all that impressive, but sugar impact, its impressive. Gets more impressive when applied to sugary drinks. I hadn’t heard it call the Halo Effect, but had heard the theory. The theory is that when someone is perceived as having been made healthy, people double up the amount. Fruit is the usual suspect, tell someone an Orange is healthy, I eat 10 of them and gram for gram of sugar they may as well have eaten a 4 pack of mars bars. Even Professor Julian Cooper form Nestle highlighted this problem when he said “This is good science. A lot of people have been look at sugar trying to reduce the amount.” he added that there is a risk that it would give Nestle Products the use the “adapted” sugar the hal0-effect which may lead people to believe they can eat more of it. HE also went on about protecting the profit margins and nestles patents letting other companies in the idea blah, who cares. Make a fuss that since 2007 you (Nestle) have been reducing sugar (and product size) then in the next breath blurt out, its about the money. Chocolate Bar image courtesy of Kaboom.